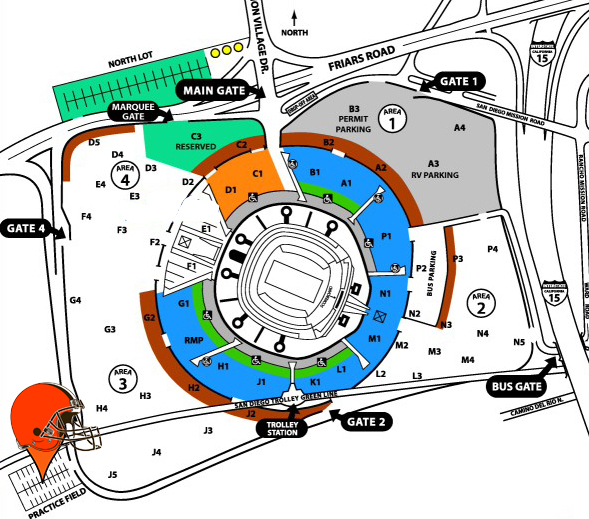 The official Browns Backers Tailgate will be held on the Chargers Practice Field, with entry located by walking in from the southwest corner of the parking lot. This is close to the Trolley Station drop-off. See map below. Please RSVP. For members of the Browns Backers Association, credentials can be verified at the gate.